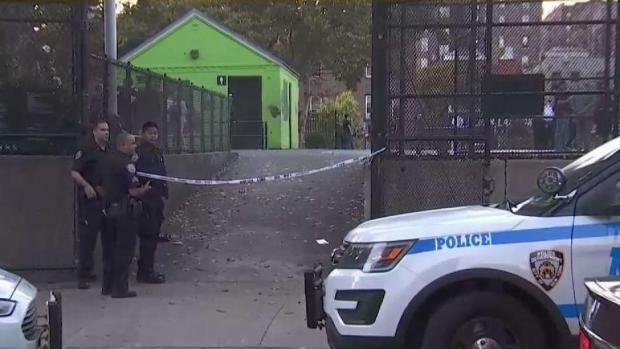 Two men were shot on a basketball court in the Bronx Wednesday afternoon, police say. Police say a man approached the victims standing in the park, ages 18 and 20, on Mott Playground, took out a handgun and started shooting. The 18-year-old was grazed in the neck, and the other was shot in the stomach. They ran to 166th Street and Findlay for help and flagged down nearby police officers, telling them they heard gunshots and suddenly felt pain, sources said. That's where they were picked up by EMS and taken to Lincoln Hospital, where they are in stable condition. Police are searching for the suspect, described as about 5-feet-6. last seen wearing a dark hoodie and dark jeans. The motive may be gang-related, police said. Two teenagers have been shot on a basketball court in the Bronx. A 9-year-old girl told News 4 she and her brother were inside the playground around 4:30 p.m. when they heard gunshots. 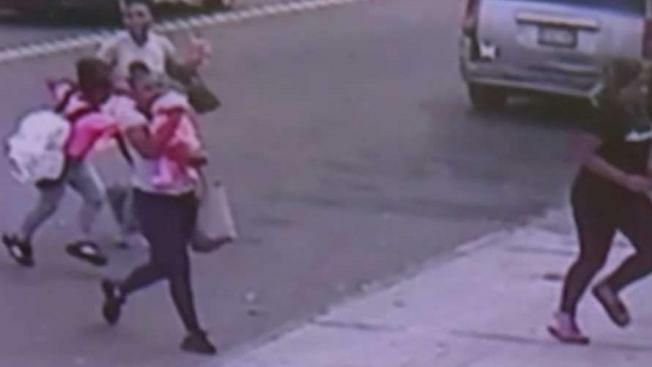 "I grabbed my brother, and I started running because I was afraid they would do something to him," she said. Three shell casings were recovered from the scene. Police said the victims are not being cooperative in the investigation.